I was so happy to announce the launching of our new website in our Spring newsletter. I encouraged all of you to contribute in many ways. Right now, I am appealing to all writers out there or just enthusiastic amateur mycologists-even if you have never written an article before.Now is the time to think about writing one. I hope that you are inspired by the new Spring growth.Thinking about a current topic like Morels (think about the types, habitats, ecology) or just Spring mushrooms, might inspire an article. You may already know a lot, or you can research a topic that you want to learn more about. This is a way to share. Others want to know more too, I assure you! If you have a special interest, such as ecology, identification, a certain mushroom, food, mushroom art, cooking, photography, etc., please share it with us. Maybe you have other forms of expressing your interest such as fungi related poetry or visual art to share.Your contributions will enhance the learning experience for all of us. You do not need to be an expert writer or mycologist, just have an interest and research the topic as needed. I am looking forward to hearing from you and seeing your contributions add to an enriching experience for others browsing our website. First, I would like to say “Congratulations” to the winner of our first morel contest, Henning Grentz! Henning sent beautiful photos of morels, found in Rosendale, next to today’s newspaper (authenticating the date found). 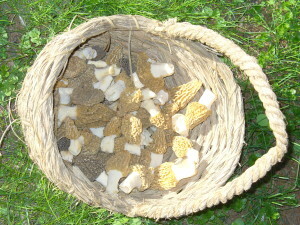 Henning reports that he found a couple of black morels this past Thursday, May 9 in the Rosendale area. 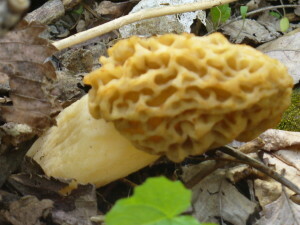 The club holds “the first morel contest” every year as a way of tracking when morels appear in our area from year to year. There have been other reports of earlier sitings in Orange, Dutchess and in Ulster Counties. Henning told us that his friend, Jens Verhaeg, showed him black morels that he had found last Saturday, May 3rd, in the New Paltz area. So, if you find the first morel next year, please be sure to send us a picture (one that shows a verifiable date (according to the contest rules that are sent) so that we can keep track. The club postponed its usual Mother’s Day walk morel walk this past weekend because none were found in our regular walk location near Poughkeepsie. Jill, our walks coordinator, has been working hard, as always, to schedule morel walks where people attending will actually be able to see and identify morels. Thank you Robert for scouting! 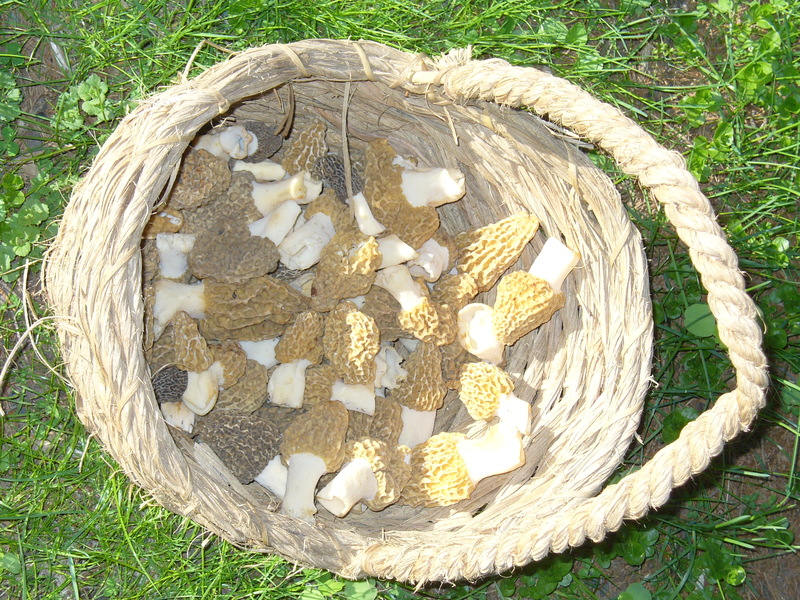 It looks like our first morel walks will be this coming weekend. Stay, tuned to our website and your e-mail (members only) for the details. Clothing, bug repellants, showering and inspecting for ticks are basic preventative measures. Wear light colored, long pants and shirts, tucked into socks so that you can more easily see ticks. A hat can prevent a tick from landing on your scalp from branches. Most sporting stores have net pants and tops that also guard against mosquitos. There are now clothing lines with built in repellants. Bug spray with Deet is the recommended type of insect repellant to apply. You may find information about alternative -less toxic ones on the internet (although efficacy and strength may be based on anecdotal, not empirical, evidence). Please also remember to wear appropriate footwear for the terrain to prevent injuries. Now that you are protected ; ) , please remember to be gentle with and to PROTECT MOTHER NATURE. Remember that the plants and fungus we pick are not there just for us. Every living thing has its niche (or role) in the ecosystem. Do not over-pick any wild edibles and be careful about how you harvest them. Do not pick parts of the plants/fungi that you are not using. They all support a larger ecosystem. If you are using leaves, do not pull up roots. If there is a stand of greens only take a small portion (I have seen different rules of thumb from 5 to 30 percent). The ecosystems that bring us wild edibles are fragile ones. As demands for building decrease our wooded land and fields, smaller areas of wild growth are under more pressure just to survive and reproduce. While the mushroom is the fruit of the fungus, and picking it has not been clearly shown to affect the organism, we do know that the latter mentioned loss of habitat places pressure on the future of the fungus. Last, but not least, remember to share with others. We have walks to educate each other. As we gain knowledge and expertise we share it with others who want to learn about fungi and safe identification. Remember Do Not INGEST ANY FUNGI that has not been positively identified. If you find positively identified edibles, keep in mind that sharing is not only nice, it is important. It helps others have a positive learning experience. Hopefully you will never need this number, but If you ever suspect having mushroom poisoning call the Poison Control Center hotline at 1-800-222-1222 for all poison emergencies. Please respect the areas that we walk. Remember that we use the area to teach. 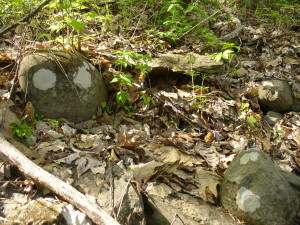 If you are familiar with a walk area, we ask that you leave the area untouched. Do not pick there ahead of a group outing; leave the opportunity for others to see and learn about the fungi there. Here are the blondes that I found today… i feel very blessed by this abundanceHope to see you all soon. 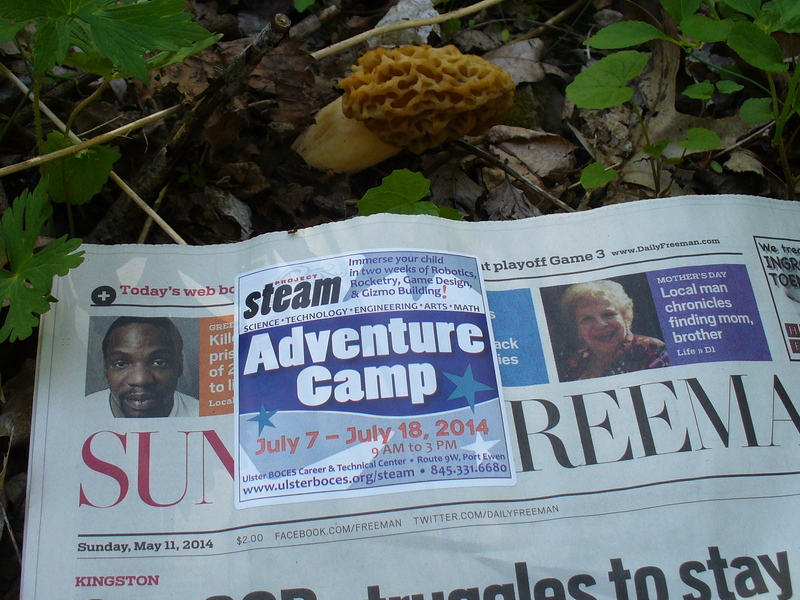 Morels have been found in Southern Dutchess County! May 3 and May 10 this year at locations to be announced. Details will be sent out the day before the walk. The March 25th meeting of MHMA was an evening filled with fungi, friends and fun. Over fifty new and old members of the club filled the Marbletown Community Center. In the annual election of officers, members reelected Lisa Resnick as President, Barbara Plume as Vice President, Kelly Sinclair as Secretary, and Cynthia Fisher as Treasurer. 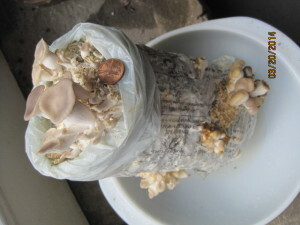 Jill Weiss demonstrated her oyster mushroom cultivation kit using kitty litter, guinea pig food and mushroom spawn. Her bag of oyster mushrooms looked a bit like a porcupine, with the spikes of mushrooms emerging from the plastic growing bag in concentric circles. The completion of our new web site was announced. Check it out at midhudsonmyco.org. The main event of the evening was Bill Bakiatis’ lecture on safe and unsafe spring mushrooms. It was illustrated with excellent photos and taxonomic information. 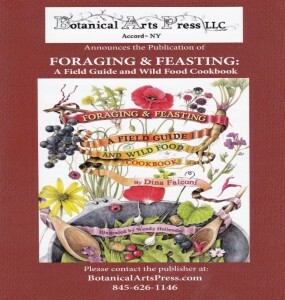 Dina Falconi, an herbalist and MHMA member, sold signed copies of her new book, “Foraging and Feasting: a Field Guide and wild Food Cookbook” which is beautifully illustrated by Wendy Lollender. The oyster cultivation is really a joy. Every time I look at my oysters, they have doubled in size. Thanks, Jill. Ted, would you please put a few of the attached photos on our website? I’m sorry I didn’t bring my camera to the workshop and don’t have any photos of the preparation. When are you coming back to the cold Northeast, Ted? I have one extra kit from the workshop which I am saving for you. If you are coming back soon, I will keep it for you. If you won’t be back for a month or two, then I will start it myself as I don’t know how long the spawn is viable. Woodstock Land Conservancy will be showing the film, Now, Forager as part of our Winter Film series, on Wed. April 23 @ 7pm at the Mountain View Studio in Woodstock. Hello everybody. Spring is barely in the air (although can’t you just “taste it”!) and the club has so many exciting projects planned for the year, as well as ones coming to fruition. At our February meeting, Jill led a workshop on mushroom inoculation. We each prepared a mushroom kit using a simple (non-sterile) recipe. Many of us are enjoying the first fruiting of the oyster mushrooms that we grew using the materials at that workshop. Jill has been collecting data, looking at it how the conditions that we grew our mushrooms affected growth. This information can help us in the future. The workshop was a huge success in many ways and we hope to have more workshops like this. 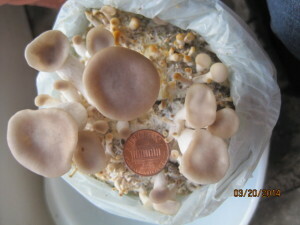 Bill Bakaitis will lecture on the topic of safe and unsafe spring mushrooms. Bill is a professor of mycology, a writer, and founding president of MHMA as well as a contributor to the NY State Museum’s fungi collection. As always, Bill brings a wealth of information to share with club members and we are pleased to have him. We will also have a brief meeting at which we will hold our annual club elections. As this is an election meeting it is only open to members, but non-members are welcome to join at the meeting. If you act quickly, there is still time to nominate/volunteer for any of our offices. Let Kelly know, ASAP. if you would like to step in and relieve one of our current officers. I hope that you will take the opportunity to join us for this special lecture and meeting. It will take place on Tuesday, March 25thpm, at the Marbletown Community Center, 3564 Main St, Stone Ridge, NY. We will begin promptly at 7PM. Finally, I am most excited to announce that, thanks to a long team effort, our newly designed website is up and running!! !Ted Shemella has graciously agreed to be our web master. Special thanks to our treasurer, Cynthia Fisher, who coordinated the work to “launch” our website through the final steps. You can go to MHMA’s site right now at midhudsonmyco.org to see current events, and to get a glimpse of planned ones. With our new design format, we will be able to expand on the current structure, adding new information and links as needed. This will be an on-going process and leaves us with endless potential for reaching many, informing and educating. Our members have a wealth of knowledge and varying interests that I hope will be shared on our website. There are so many fascinating aspects of fungi to learn about and share with each other. The list includes identification, uses, ecology, art, book reviews and inoculation, to name a few. To start, I would like to invite any of our members who would like to write an article about any aspect of fungi that they are interested in- to be posted on our website. I hope to see on-going submissions where we can continually share new information on our website. The club also welcomes your ideas and participation for future workshops. Let us know if you have ideas and would like to lead a workshop or other event. Right now, Cynthia is planning a wine making workshop which many of you expressed an interest in. I talked to Sheena this week and she would like to teach a basket making workshop this year. 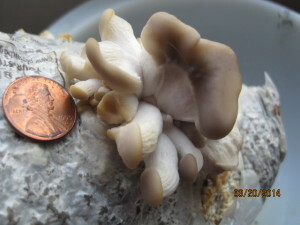 Over the past year, many of you have shared your ideas, time, resources, and expertise (in many areas-technical, as well as fungal) to benefit the club, and I thank you. I am looking forward to seeing you all at our many upcoming events and walks. I hope that you are all safe and warm on this frigid winter day in NY. Winter is a time that we can focus on fungi in a different way…..
Why not use the time to read? Every identification book has pages about identification that you can familiarize yourself with now. Google the subject and learn more! Meetings are all at 7pm at the Marbletown Community Center in Stone Ridge and described below. January 28th 2014- Our first presentation will be a film by the extraordinary photographer and mushroom expert, Taylor Lockwood. Our feature presentation will be ” The Good, The Bad, and The Deadly. This is an excellent film for both beginners and the experienced to learn about safe and unsafe edibles; addressing myths about knowing when a mushroom is safe to ingest. 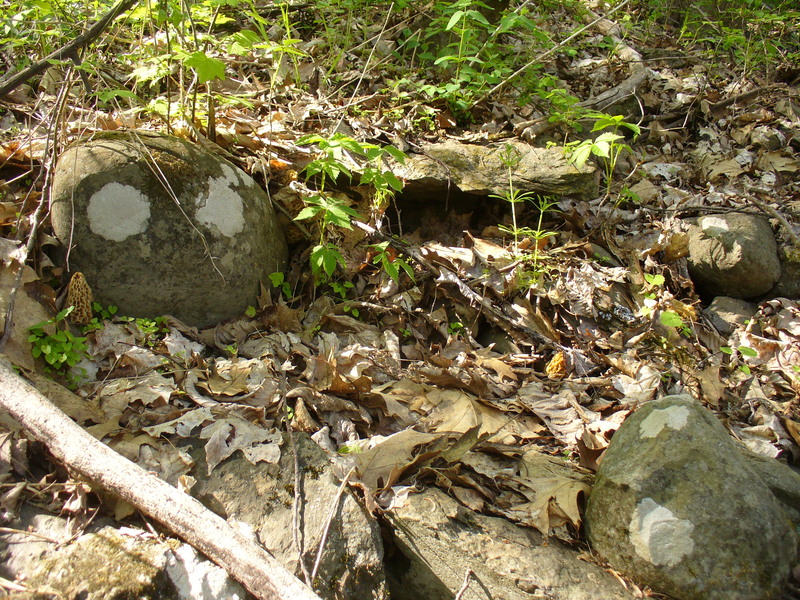 Club officers will provide material about visible parts of the mushroom- which will help in identifying specimens. Time permitting, we may also watch Taylor’s film “Mushrooms of America”. If you would like, bring a snack to share. 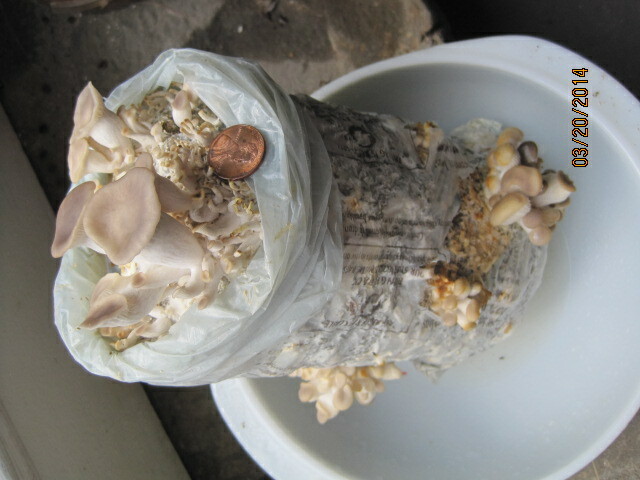 February 25th 2014– Grow your own…You asked for it (thanks for your completed surveys): Mushroom inoculation. We will learn to grow our own Oyster Mushrooms using a simple recipe to inoculate readily available materials with spores. March 25th– The club is pleased to have professor Bill Bakaitis, return to teach us about safe and unsafe Spring edibles. Bill is a professor of mycology, a writer and founding president of MHMA. He is a contributor in the NY State Museum’s fungi collection. Bill brings us a wealth of information and his lectures are notably consistently well attended . We are excited that our new website is nearly ready to launch and will be up and running so that we will be able to post our walks, articles, and all fungi related info in the near future. Thanks to Jill who recently attended to comments left on our current site-while the rest of us were attending to new business. Our apologies to those of you who waited for a response. Thanks to Cynthia and Shirley who volunteered to be on our computer committee . Thanks to Ted Shemella who has offered to be our webmaster. Volunteers Needed: The club is still in need of a volunteer to take over as Walks Coordinator and one to replace Carol as Membership Chair. Please let us know if you can fill one of these positions. There are club officers who will help you learn the job. We count on member participation to keep our club going and helping others. Please let us know if there are any areas, activities or positions where you can help. Attached please find the membership application form, if you haven’t already renewed for 2014.